With all the competition among cell phone providers to be yours, maybe you should consider how long they will keep your text messages on their servers. Whatever company Jodi used, her text messages were stored for a very long time and they became her undoing. My guess is she had service with either ATT or T-Mobile. These companies keep text message records, with some differences, from 5 - 7 years. Before your relinquish your privacy, find details about data retention policies for the top 5 cell phone companies from the ACLU site. 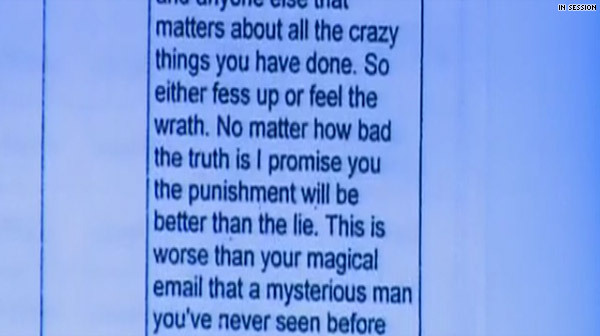 Prosecutor Juan Martinez used a text from Travis to Jodi to prove premeditation. "I want you to understand how evil I think you are," Travis Alexander texted Arias. According to the prosecutor, this was when Jodi realized that her relationship with Travis over. Two days later Jodi stole a gun from her grandparents, drove to Arizona, and killed Travis. 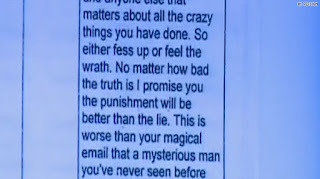 Without this text to show premeditation, Jodi Arias would most assuredly have been convicted on a lesser charge than first degree murder. Even if your words won't convict you, keep in mind that the tracking device on your phone's GPS shows where you are at any given moment. You can be guilty by association, or guilty by being in the wrong place at the wrong time. According to the ACLU, "Of all of the recent technological developments that have expanded the surveillance capabilities of law enforcement agencies at the expense of individual privacy, perhaps the most powerful is cell phone location tracking. " 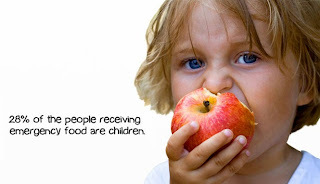 And, you cannot turn off your phone's tracking device and still get a signal. Depending how you look at it, criminals are apprehended. The ACLU perspective is that State legislatures and Congress should update obsolete electronic privacy laws to make clear that law enforcement agents should track cell phones only with a warrant. The idiom "carved in stone" has to be updated for the modern era. I would like to submit "Texts to Death" because the text messages between Jodi and Travis put the nails in her coffin. Article first published as Jodia Arias: Texts to Death on Technorati. Should Artwork Save Jodi Arias? 5:2 Is this Diet for You?